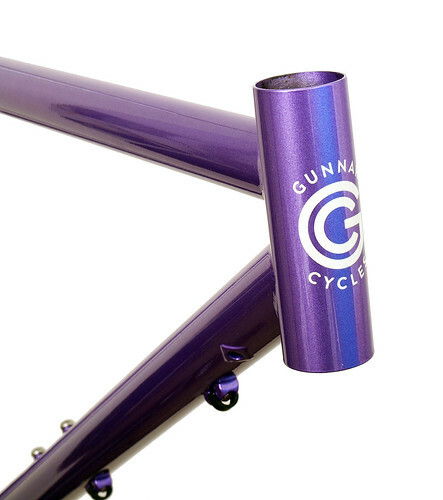 Gunnar Fastlane Custom in Starlight Purple with DI2 Routing. The Fastlene offers tremendous versatility for distance riding on roads, gravel, light trails and city streets. Chaiinstay disc mounts offer excellent wet braking as well.